Editor’s note: This column appeared on OWW in 2006. Its a fun look back at the enhancement talent in the 1980’s, plus there are some good follow-up comments to the article. I hope you like it. May 1, 2006 by Derek K.
What do those names have in common” Well, these men are some of the jobbers who could be found at WWF events back in the glory days of the nineteen eighties. “Jobber” is professional wrestling slang for, to put it bluntly, the loser. It’s more poetic origin is in reference to the fact that a “jobber” is not so much a wrestling superstar as he is a worker (just doing his “job”). The reason some of you nodded when you saw the name Steve Lombardi (a.k.a: The Brooklyn Brawler), but looked blankly at the screen while reading Carabello’s name, is that some jobbers of the eighties (and earlier) had a slightly elevated status. For example, the Face (good guy; fan favorite) S.D. Jones would usually do some damage do his opponent before taking the fall, unlike the unfortunate Mackney who essentially played the role of practice dummy. S.D. Jones and Steve Lombardi always offered more competition than did Gino Carabello and Brian Mackney. In fact, like many jobbers, Jones had briefly been a big name star, tag-teaming with “Mr. U.S.A.” Tony Atlas. In the years just prior to and following WrestleMania (back before they were numbered), WWF on television consisted almost exclusively of Jobber matches. That is to say, big name heroes and villains like The Junkyard Dog, Tito Santana, Roddy Piper and The Iron Sheik would take on has-beens and never-were’s like Rene Goulet, Frank Marconi, Jose Luis Rivera and Bob Marcus. The program would sometimes end with a more prestigious match, but more often it would be one of the more capable jobbers closing the show in a match with a superstar. What was the point of these walkover matches, and why did we put up with them” Well, it made many of us crave the major events that much more. We’d watch, for example, the highly-skilled tag-team The Killer Bees demolish Mr. X and Les Thornton on the same show that the ruthless Hart Foundation wiped out Scott McGhee and Rick McGraw and realize we HAD to see the Bees take on the Foundation live at the next main event in our state/province. To be honest, some of my favorite wrestlers were the jobbers. Hamilton, Ontario’s “Iron” Mike Sharpe is definitely in my all-time top five. 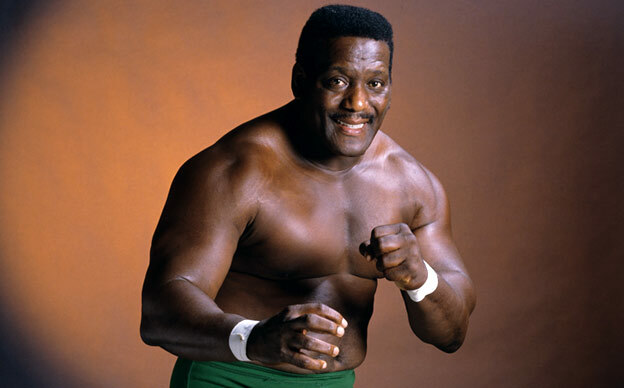 He was a tall, loud, Heel (bad guy; rule-breaker) who insisted that he was “Canada’s Greatest Athlete!” Sharpe was a jobber who I actually watched win a match once at a live show when I was a kid. Of course, this is one of the reasons I’ve always liked him. Yes, jobbers occasionally won matches. Obviously, this was almost always a victory over another, lesser, jobber. However, once in a blue moon, a jobber would get one up on a big name superstar. The first incident of this that I can remember was when the Face jobber Ron Dee had a decision reversed in his favor over “Terrible” Terry Funk. Funk had defeated Dee with a sleeperhold – his finisher at the time – and then proceeded to “brand” poor Ron with the branding iron he brought with him to ringside. This was normal procedure for Terry, but for some reason after this particular match, he decided to then beat the hell out of Dee. The referee tried to stop Funk, threatening a decision reversal, then eventually followed through with his threat. I was thirteen years old at the time, and thought this was incredibly cool (I felt really good for Ron: “Right on! One for the little guy!”). A much more famous example of a jobber pulling an upset over a big name wrestler is when “The Kid”, a WWF jobber in the early nineties, pinned big-name star Razor Ramon (Scott Hall) and earned himself the name “1-2-3 Kid”. Sean Waltman has since gone on to considerable success as Syxx and X-Pac. Speaking of jobbers in the nineties, by that time, the definition was beginning to change a little. The “punching bag” level of jobbing, where the loser would often make no successful attack at all during the entire match, was fading away. Since nineteen ninety-five, even if you know who the winner is going to be, you can usually be pretty sure there will be something of a fight first. Thanks so much for the article: it brought back great memories! My friend and I watched the WWF Superstars show often while we were in college in the mid-80s. I think what made these squash matches (King Kong Bundy vs. Mario Mancini really comes to mind) so great is that they were funny! The humor in the wrestling of that time is what really stood out for me, and a number of the heel jobbers (my friend and I called them “meat”s at the time) were comical in the way they accepted their punishment. It was great theater, and you could depend on getting some serious laughs as you watched Aldo Marino get thrown around like a sack of potatoes. Nowadays, largely because of the demise of the jobbers, that humor is gone, so I don’t go out of my way to watch wrestling. In reference to Eric’s “Dream Jobber Battle”, or as my friend and I would have called it, “Battle of the Meats”, I would submit one probably from 1988 or so, when Ted diBiase saw his jobber opponent Chris Curtis, and announced to the crowd that he “looked across the ring and I don’t see too much”. He then paid a “Mr. Washington” to fill in for him so he wouldn’t have to degrade himself by being in the ring against Curtis. When Mr. Washington got completely annihilated, and diBiase officially took the loss, he and Virgil proceeded to take out their aggressions on an already humiliated Mr. Washington. Just really hilarious stuff. How could anybody so far not have mentioned Rusty Brooks, probably our favorite jobber from those days? Then there were the “masked meats”, e.g. Mr. X, Mr. Wrestling II, Dr. Midnight, The Ax. These guys took their lumps and kept coming back for more. I also have fond memories of that Ron Dee/Terry Funk reversal, and the look on Ron Dee’s face when he realized that he had “won”. Finally, let’s not forget the other ‘e’s besides Ron Dee: Sal Gee and Tiger Chung Lee! I miss them too! 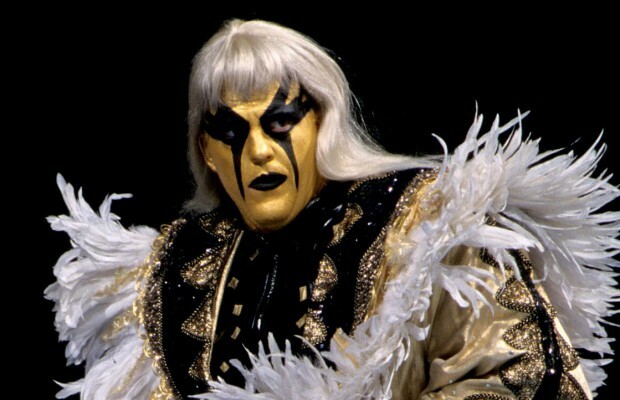 Back in the days when I was a young fan getting into wrestling – and I still believed it was all real, I used to love the rare segments of a match when the jobber would unload a few punches, bounce a top-name superstar off the ropes, then miss a dropkick or clothesline and continue getting pounded! To make jobbers seem totally useless – I once recall a WCW match pitting Big Van Vader against two no-names in a handicap match. It was as good as over as soon as the bell rung, and I don’t remember a tag being made – but I seem to remember Powerbombs were dished out and Vader pinned both limp bodies simultainiously within minutes. And you’re right – it built up Vader’s heat and made me look forward to the day He’d have to fight someone like Sting. Growing up in North Carolina I don’t recall much of the WWF matches, but I do have fond memories of the NWA Saturday night program. My favorite jobbers of the time were the Mulkeys. Every weekend you could tune in the see Bill or Randy get the snot beat out of them by Nikita Koloff, Magnum T.A., Arn Anderson, or any of the other stars at the time. There is nothing like seeing the blonde mullet’d Randy or Bill take a Russian Sickle and flip like a ragdoll. I do remember watching the one win they had against the Gladiators. Ah the memories! Nice article, always good to see a testament to the unsung heroes of the business. Those guys went out and took their lumps every night, with no recognition. Coincidentally, I was watching SummerSlam ’95 the other day (not sure why) and I saw jobber-extraordinaire Barry Horowitz take on Chris Candido (as “Skip”). The angle was that Horowitz had scored a win over Skip with some interference, then outlasted him in the re-match, for a time-limit draw. Skip was supposed to put this jobber away once and for all, but instead it was Horowitz picking up his only ever PPV win (I believe). Other than the Razor/HBK Ladder re-Match, this was probably the best worked match of the night, and it just goes to show that the best workers aren’t always the guys at the top of the card. Derek my man, you’ve just became my favourite columnist! Thank you for writing this article to pay tribute to those who “counted the lights” for us, so very often. I still hold dear in my heart, WM I, KKB VS. S.D @ MSG! The best “9” seconds of my life! Yes, I fondly remember those days when we would rest on Saturday afternoons instead of playing so that we could last long enough to see SNME and finally get to see the stars vs. the stars. I also believed it was all “real” at the time and remember “Iron” Mike and the Brooklyn Brawler (though I suspected something was up with them because jobbers never had nicknames). I also seem to remember the WWF debut of Shane Douglas, the first jobber I ever saw win a match (vs. I forget who). He then received a small push but (I think) soon left to take care of his father. Those were the days! Thanks for the great article, Derek. It is about time that the Barry O’s of the wrestling world got a pat on the back from someone besides themselves. ;-) Martin Krezalek’s feedback about a 3 tiered jobber hierarchy makes sense to me. I would suggest Hillbilly Jim, Uncle Elmer and Cousin Luke be added to the list. The had a somewhat elevated status, but in the end the were jobbers in the matches that pitted them against worthy opponents. One of my favorite columns, ever. Took me back to my younger days. Growing up watching the NWA, I was always hoping that one of my favorite “upper tier” babyface jobbers (like a Johnny Ace, for example) could somehow pull out a victory against a top name heel. The joy of rooting for “jobbers” (whom my dad would call PALOOKAS) was that every week, you came to know them and their own unique lack of skills. After all, during 80s wrestling, these jobbers took up just as much air time as the stars. I probably watched Jose Luis Rivera get put to sleep more than I saw the Cobra Clutch or Boston Crab. But my eyes did not deceive me. The match we had imagined… no, that we had prayed for years to happen…. was a reality. And though we predicted this match would end with a tap-out at the opening handshake, it actually went on for several awe-inspiring minutes. In the end, Bellomo proved to the be the King of the Jobbers with a remarkably graceful sunset flip. Cut to years later. I no longer am an avid wrestling fan. But I got convinced to attend a live taping of Raw. And lo and behold, before the cameras rolled, there was a jobber with green leggings putting a new star over. He got pummeled so badly that the ref had to walk him back to the dressing room. It was glorious. And sadly, I didn’t even catch his name. Steve something. The joy of rooting for “jobbers” (or, as my dad affectionately called them, PALOOKAS) was that each week, you came to know their own unique lack of skills. During the heyday of 80s wrestling, jobbers occupied as much air time as the stars. I probably watched Jose Luis Rivera tap out more often than I saw any of the champions. Then one day, the DREAM JOBBER BATTLE happened. FRANKIE WILLIAMS VS SALVATORE BELLOMO. For those who do not remember these two warriors, imagine being able to watch Michael Jordan take on Wilt Chamberlain or Muhammad Ali vs Mike Tyson. After years of prayer, Frankie vs Sal was a reality. And though we predicted this match would end with a tap-out at the opening handshake, it actually went on for several awe-inspiring minutes. In the end, Bellomo proved to the be the King of the Jobbers with a remarkably graceful sunset flip. Years later, I attended a live taping of RAW. I thought that the Iron Mike Sharpes, Mr. X’s and Mulkeymanias were long gone. But lo and behold, before the cameras rolled, they announced a Jobber. Wearing green leggings and a mullet, this grappler spent several painful minutes putting a new star over. He got pummeled so badly that the ref had to walk him back to the dressing room. And sadly, I didn’t even catch his name. Such is the life of the Jobber. I was surfing the net when the name “SD Jones” popped in my head. I found his wikipedia entry which linked your article. 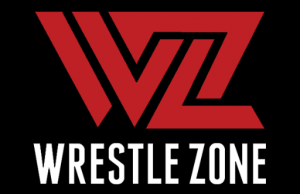 It has to be one of the best wrestling articles that I have read in years. I too remember the Mr. X, SD Jones, and Jerry Allens of the wrestling world. Even though I don’t consider him a jobber, Lanny Poffo was also a stable for many years on WWF Superstars. He was always called upon to put someone over until they packaged him as the Genius. I don’t think wrestling fans today appreciate what we had in the 1980s. I remember when Jim Powers and Paul Roma were repackaged into winners. They had a reverse decision over the Harts with the help of Mr. T. It was the start of the Young Stallions. Unfortunately, those two men didn’t get along and Vince broke them up. How about when PJ Walker pinned Mike Rotundo on Raw? He became Aldo Montoya not long afterwards. The fact that the “upset” could happen kept us tuned in through out all the other squash matches. Eventually, wrestling switched from pure jobbers to guys that promotions, especially WCW, wanted to bury. Tom Zenk is the best example of someone who many fans consider a jobber because of the way his career ended. He was brought into WCW to be a star. According to online interviews, he was supposed to have been a top five babyface. In the end, he was used to make other guys look good. Ironically, like Lanny Poffo in the WWF, they both started at the top of the card, but ended at the bottom when the bookers changed. Zenk, like Poffo, made good money but their careers stalled when they became “Jobbers to the Stars.” Oddly enough, like SD Jones and Iron Mike Sharpe, they had huge fan followings. Now, wrestling seems to be the same guys recycled over and over again. Why would I care that John Cena is going to face Shawn Michaels at Summer Slam, for example, when they have wrestled 20 times on TV already this year?